The Romanian agriculture sector recorded its best results in history last year, with record yields for wheat, maize and sunflower. The total grain harvest in 2018 – about 31 million tons – ranks Romania on the third place in the European Union (EU), but first for maize harvest for the second year in a row. Data from the European Institute of Statistics show that Romania ranks third in the EU, after France and Germany, in cereal production, with 31.89 million tons. However, the figures from the Agriculture Ministry are slightly more weighted and indicate only 30 million tons, of which 12 million tons of grain cereal production in the summer. In maize, Romania is for the second consecutive year on the first position in the EU with a total harvest of 19 million tons, up by almost 33 percent compared to 2017 and with a yield of 7.8 tons per hectare, ahead of France, which gained 12.59 million tons this year. Romania produces almost 28 percent of the European Union maize. The biggest producer is Agricost (from Insula Mare a Brailei), followed by Comcereal Dolj and Transavia. 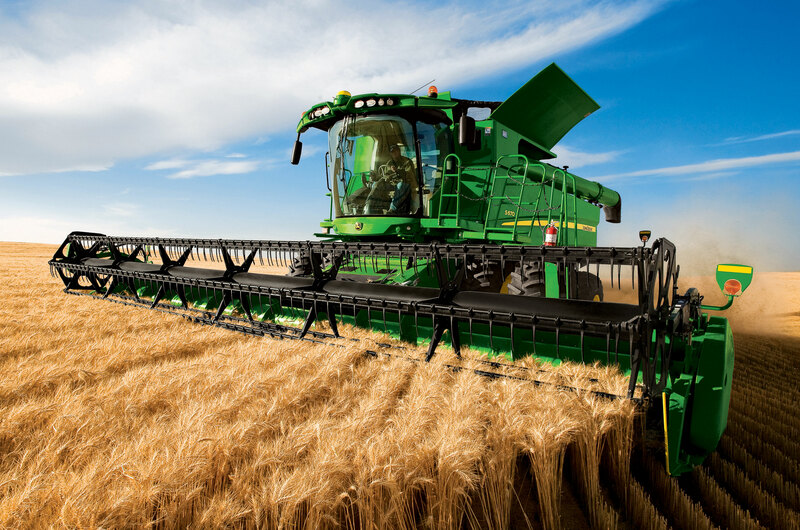 For wheat production Romania is on the 4th position in the EU with 10.27 million tons, an increase of 2.36 percent over last year and an average of 4.8 tons per ha. Sunflower harvest rose to 3.35 million tons in 2018, up 15.01 percent over 2017 at a yield of 2.9 tons / ha. This data positions Romania on the first place in the EU. Last year was also a good year for vineyards, with grapes producing more by 74.08 percent compared to 2017, up to 83.000 tons, with a yield of 9.4 tons / ha, while grape wine increased by 13.3 percent, totaling 1.155 million tons. The average per hectare was 6.7 tons. The International Organization of Vine and Wine (OIV) estimated at the end of October that Romania recorded a 21 percent increase in wine production up to 5.2 million hectoliters, higher than 2013, the record year so far, when 5.113 million hectoliters were recorded. On the other hand, there were crops with lower production in 2018. For barley the harvest was down 1.54 percent, the total reaching 1.87 million tons, with a yield of 5.2 tons / ha; for rapeseed oil the production was 1.51 million tons, down 9.46 percent at a yield of 2.3 tons / ha; sugar beet – 921,000 tons, a 21.58 percent decrease and an average of 40.6 tons / ha, and for autumn potatoes the production was 2.4 million tons (minus 10.03 percent) with a yield of 16.7 tons / ha.